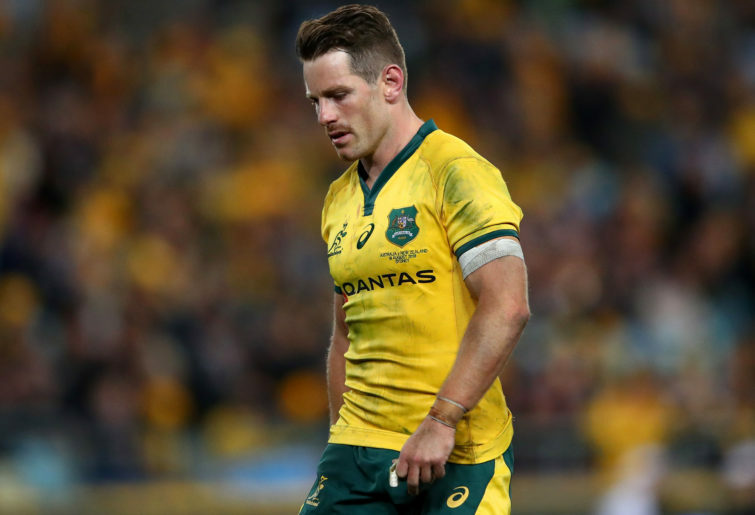 Hoping to end the tour on a positive note, the Wallabies got off to an awful start, having a kick chased down leading to a five-metre scrum. Off a dominant scrum by England, Ben Youngs fed Jonny May to score in the corner. This did lead to some positive play with a Dane Haylett-Petty try being disallowed for an earlier forward pass to Samu Kerevi. After a couple of English penalties, Israel Folau then scored an excellent try after a beautiful pass from Sekope Kepu. The half ended on a good note with a near certain try by a rampaging Izack Rodda stopped by a no-hands tackle by Owen Farrell. Michael Hooper wisely elected for the kick and the two sides went into the sheds all square. After a positive start to the second half, the Wallabies fell to pieces, ultimately losing 37-18. Here are some talking points from the game. If the scrum was one of the relative positives (and I stress relative) to come out of a long and difficult year, then this was the match where it fell apart. Bringing back memories of when Andrew Sheridan destroyed the Australian scrum, the English scrum was dominant particularly off its own feed – drawing penalties at will with the first one leading to England’s first try. The lineout, in direct contrast to previous weeks, functioned fairly well by winning 12/13 throws. They varied their throws and used a variety of plays of the back of this ball. They set up mauls and at times got the ball into midfield getting across the gain line. We are a running team – make no mistake about that. It is in our DNA and running rugby is the Aussie way. Yet there are many times where you have to kick the ball – clearing from your own 22, box-kicks, when you are heading backwards and you kick into midfield or attacking kicks either in behind the line or crossfield. Having watched this for a number of weeks – I can safely say Australia’s kicking game is shambolic. Clearing kicks were charged down and box kicking was a commodity rarely sighted. The aerial midfield kicking was perplexing – aimless balls were hit into midfield that gave chasers no chance of competing and cross-field kicks often off the back of quick lineout ball were overhit or misplaced. It is pleasing to see them at least attempt a kicking game this year, but it is very much a work in progress and much could be learned from the superlative kicking game of the English. Australia lost the gain line handsomely. Besides ten minutes at the start of the second half where Australia hit the collisions with some added vigour, England dominated the collisions and the gain line. Kyle Sinckler and Marc Wilson were particularly prominent, but the entire defensive line excelled and with the ball in hand, the English forwards repeatedly got across the gain line helping the backs get front-foot ball. Matt Toomua played 5/8 with Bernard Foley outside him at 12 and neither had great games, but it is hard when you are playing off the back foot. At the end of the game England made 77/94 (82%) tackles and Australia made 85/113 (75%). Only a 7% difference, but the Wallabies’ missed tackles often led to huge gains or tries. A missed tackle lead to Elliot Daly’s try. Not for the first time this season, Genia’s backfield defence resembled him doing an impersonation of a witches hat. This has been an issue for some time and the answer remains unclear – is it technical or mental, or probably a combination of both? Missed tackles are difficult to plan for and inevitably lead to pain. It is hard to see this changing anytime soon. Eddie Jones’ side have had a difficult 2018. After winning back to back grand slams and going 18 matches undefeated, England had a dismal showing in the 2018 6 Nations and then lost a three-Test series in South Africa. 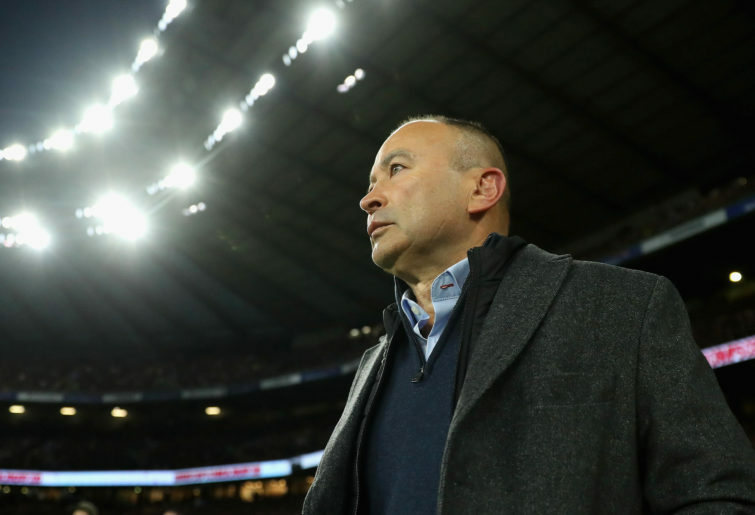 Ignoring the fact that most of the squad had not had a rest with the Lions tour and then heading almost straight into club rugby, the knives were being sharpened but Eddie Jones can head into the new year with renewed optimism. The set piece is solid, the defence has tremendous line speed and wins the collisions against most teams. They have forwards that get over the gain line and are excellent as unit at the breakdown. They have a clear identity and depth in all bar a couple of positions. This was a team missing the Vunipola brothers, Anthony Watson, Joe Launchbury and Chris Robshaw. Manu Tuilagi made his return and got through 12 minutes unscathed. His ball running and defence will be a huge weapon if he can stay fit. Joe Cokanasiga had a breakout game with the winger making several devastating runs and providing another selection headache for Jones. It is early days but the relatively diminutive Jack Nowell should be watching over his shoulder. 6. Change is needed but do RA have the funds? The Wallaby fanbase is disillusioned. The Wallabies have endured their worst year in decades. I cannot remember seeing the Wallabies as low as this. With less than a year to go, it is highly unlikely a change will be made. In some ways, it would be easier to accept if RA just came out and said we don’t have the funds to pay out his contract but I imagine that would open another can of worms. So we endure, and whilst winning the World Cup would be wonderful, it does not excuse three years of mediocrity. I fear that something just below this like making a final might result in this another four years under this coaching unit and no questions being asked.